I recently read the book “The War of Art” by Steven Pressfield. It is a very quick read, especially if you are me and obsessed with the artist’s journey. And although, I don’t necessarily write that many book reviews, I am literally obsessed with this book. I have listened to it now on audio over 15 times since January. I haven’t bought a copy of it, yet, but you know, if I am good, I hope Santa buys me a first edition copy of it. Haha! This book is primarily written for writers and other creatives as well as entrepreneurs. 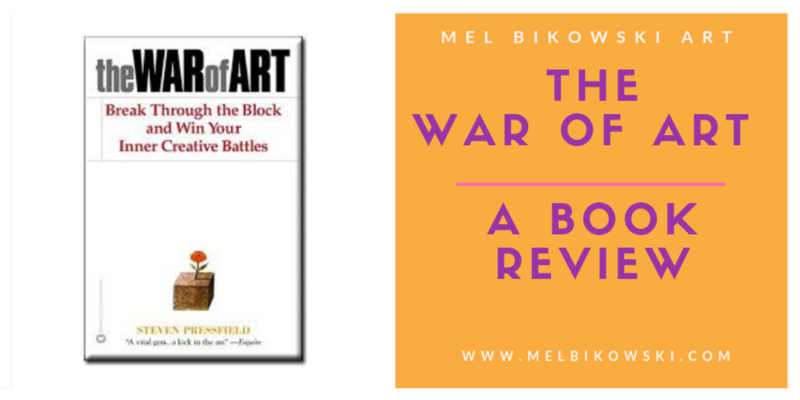 It is a commentary on the creative process and facing the blocks that are in the way. Steven Pressfield delves deep into the different battles that creatives face in order to complete their project or just in general face the lifestyle that they always wanted. It is literally a motivational book about the artist’s journey using the metaphor or mirrored journey of Odysseus in the Illiad. Steven Pressfield discusses his personal journey as a writer, who spent time doing odd jobs and then pursuing a career in advertisement. However, he takes these opportunities as different moments where he learned lessons about how to face the resistance of doing his work and bettering his writing. He is right, you know. The hard part is the writing part and facing your own resistance to completing and creating whatever it is that you are making on your artistic journey. Creativity is a light that has many, many shadow people chasing after it. But, if you are a writer, this book will awaken your fire. It will spark your soul to sit down and get right to work. My favorite part of this book is actually the format. It is broken down into 3 acts, Defining Resistance, Combating Resistance, and finally, Beyond Resistance. This format allows for him to discuss the different phases that an artist goes through with when facing resistance and it also gives you a mile marker for where you want to pick the book back up when you go to re-read, because you will. This book is a re-reader. I have my highlighters out, I could get this book gifted to me a thousand times and I would read it over and over, again. Because I am the artist in the book facing resistance everyday. And if you are like me, scared to death, everyday, you will be obsessed with this book as much as me. I have currently moved on to his other books, but I’ll be back to read more just as soon as Resistance rears its head, again. What’s in your reading cue?